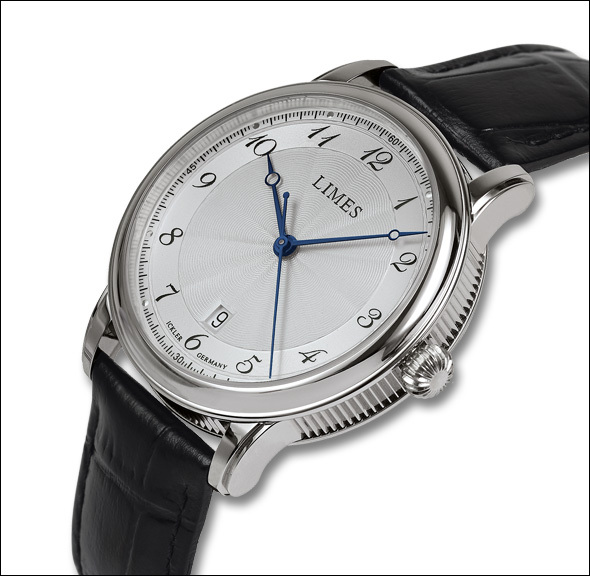 The Cartouche was one of the first watches of the LIMES collection. A watch for people who appreciate fine art and craftsmanship as well as precision. Since the end of the 1990s until 2007 the Cartouche was an important time piece of LIMES and had found many friends over the years. In December 2013 we launched the all new Cartouche A (Automatic with SW200) and we are proud to anounce now another version of this elegant time piece, the Cartouche H with the handwound movement Eta 6498). The backside of the Cartouche H showing the esteemed handwound movement Eta 6498 through the display back. 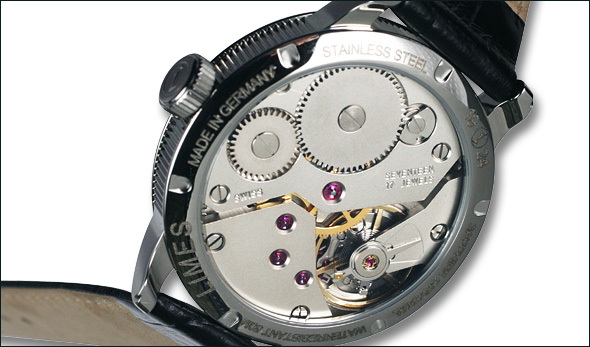 The elaborate, German made ICKLER watchcase is made from the highest quality stainless steel with elegant coined edges. It has a diameter of 41,5mm and is water resistant to 50m. The Cartouche H is available with black and brown leather strap. The price is EUR 720. For more information and ordering please go to the LIMES website.